The senior population in San Diego County is increasing (between 2010 and 2012 the number of seniors living in the county increased 6 percent) and local service organizations and charities have stepped up to help this growing population. Help is being offered for issues such as social isolation, loneliness, depression, limited resources and inadequate nutrition. 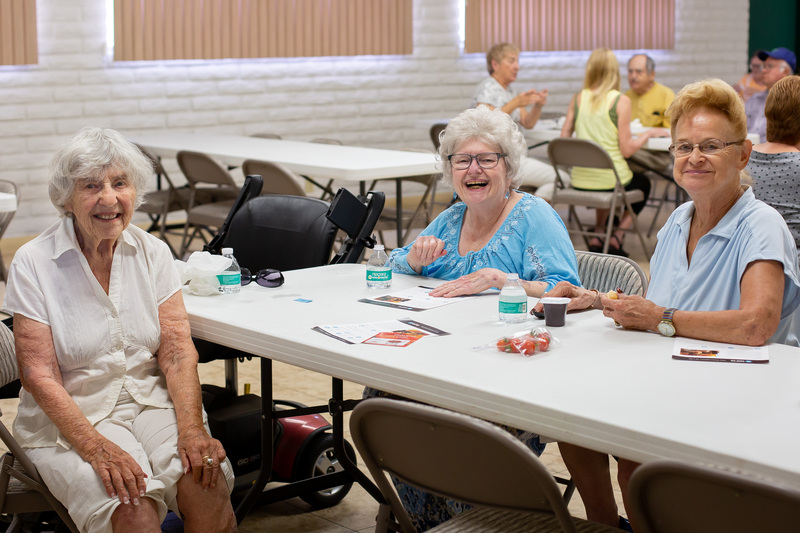 In 2014, with seed money from the Rancho Santa Fe Foundation, Interfaith Community Services and Dreams for Change initiated a lunch program called North County Senior Connections lunches. Monday through Friday at senior mobile home communities and faith centers in San Marcos, Vista and Oceanside, seniors get a healthy lunch, socialize for an hour and enjoy educational speakers or entertainment. Greg Anglea, CEO of Interfaith Community Services, said that although the program is no longer receiving funding from the Rancho Santa Fe Foundation, they knew from the beginning that the foundation would provide seed funding. “We are getting grants, some government funding, charitable support and monies from individual donors, “Anglea said. He went on to say that there are plans to expand the program to other cities in North County. 1,768 seniors participated in the program during its first three years. The majority (91 percent) were white and females were also the majority (63 percent). The medium age was 73. Forty-seven percent of the program participants who lived alone and responded to a question about household income stated that they live on $1,442 a month or less. Learn more about Interfaith Community Services at www.interfaithservices.org. Learn more about Dreams for Change at www.dreamsforchange.org.